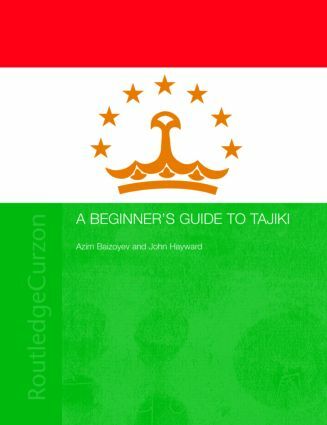 This is a conversational approach to the teaching and learning of the Tajiki language. It uses authentic language material to help learners as they proceed through its topic-based lessons. Its emphasis on the spoken language promotes oral fluency alongside written skills. Both lessons and appendices present new vocabulary and grammar simply and recycle material to provide opportunities for both controlled and free language learning. The appendices include not only lists of useful information and samples of commonly needed letters and speeches but also an invaluable introduction to Tajiki grammar and a comprehensive Tajiki-English dictionary of all the book's vocabulary - over 4500 definitions.